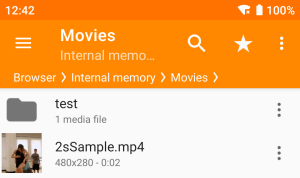 This is the first feature update in the VLC 3 cycle. 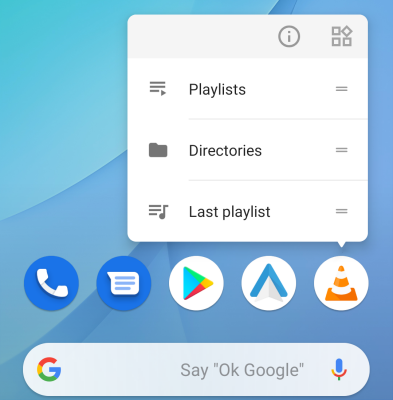 It brings back Android auto and improves support of Oreo and Pie. This version only supports Android 4.2 and newer. This allows us to use up-to-date SDK and restore some features like Android Auto! After 3.0 release, we could upgrade SDK and start a big refactoring. 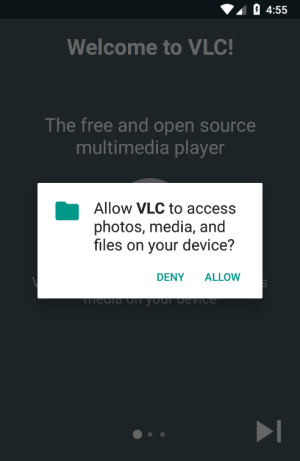 VLC now implements Android Arch Components, which helped us to drastically improve the application. We basically rewrote the middle layer of VLC-Android from scratch, and made app architecture cleaner and safer. It results in a more stable app and more code shared between mobile and TV UIs. Release cycles will become shorter now, v3.2 should be released before the summer. It will be easier for us to publish it and VLC will keep up to date. 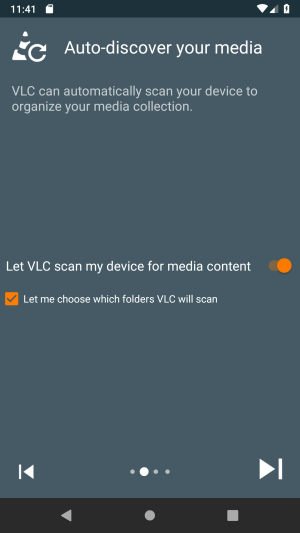 Scanning your whole device storage is no longer mandatory. We have the will to keep VLC application lightweight, and some of you only use it as a player. We heard that, and now you can choose between the classic big scanning, a folders selection or no medialibrary at all! 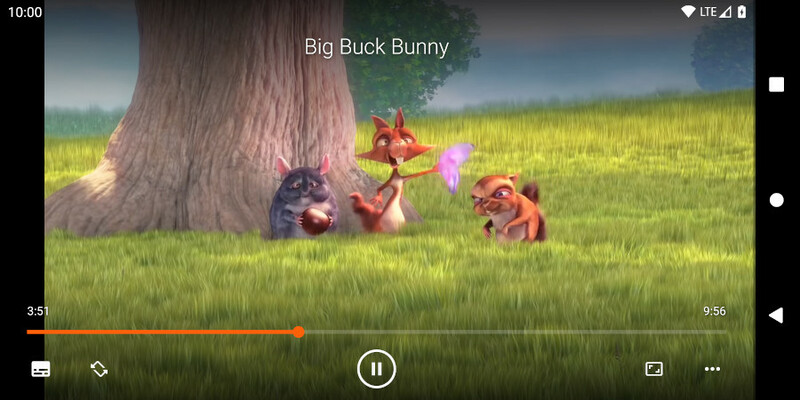 VLC still provides a file and network browser, if that’s enough for you. Just long press on VLC icon on your device and shortcuts will pop up. They are only static shortcuts for now, we plan to make it customizable. 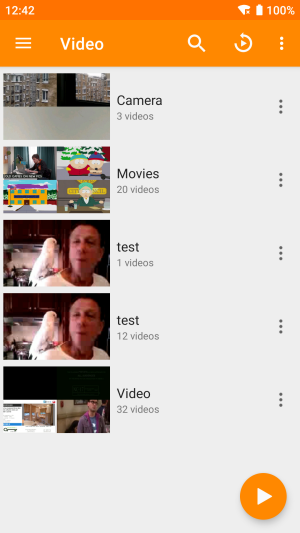 There is a new option in Settings→Video→Group videos, videos can now be grouped by folder. It’s a convenient way to present you your collection. That was a much asked feature. 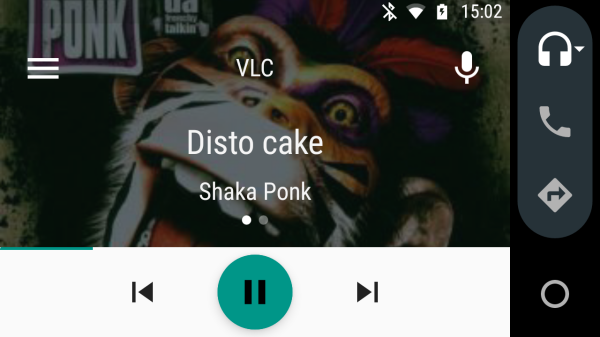 Because of Android 2 support, VLC-Android 3.0 was stuck on an old SDK and Android Auto had become too buggy. It is now restored, enjoy your music with VLC on the road again! Among the huge refactoring we did on VLC-Android, we implementend pagination for audio collection. This offers a better support of large collections. Collections with like 10GB of MP3s no longer overflow VLC, it should handle the task now. VLC won’t load all tracks at once anymore, it loads ‘pages’ of media and fills the list on the fly. 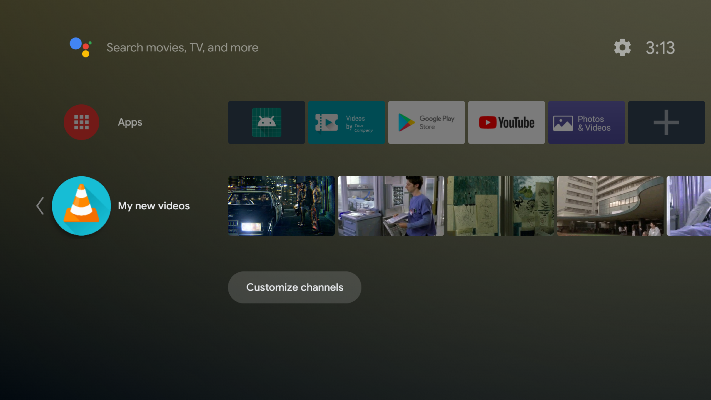 You can now see last added videos from Android TV launcher (only for Android 8 and above), and even preview one when you focus on it! Browser gains some neat additions. First of all, OTG devices are now supported. To ease navigation, a breadcrumb is now displayed to show you where you are. 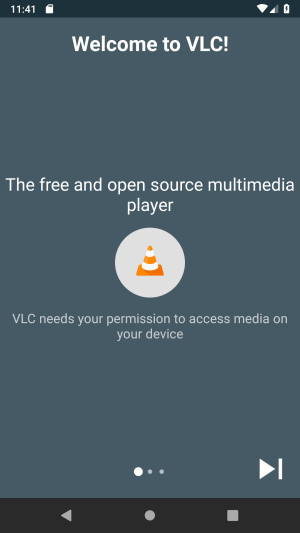 For any feedback, you are welcome to join the VLC-Android community page! If you are reading this, you should already know this API. It is only composed of requestPermissions method, and its related callback onRequestPermissionsResult. But this is a View-level API, not really convenient. We still are lucky, this API is accessible from fragments, and that will allow us to make it way easier to use. The trick is to make it a headless fragment, i.e. a fragment without a view. It’s still bound to its activity and can fire dialogs, that’s what we want. Our runtime permission implementation has become modular, it can be called from any activity just by starting this fragment. That’s a first step! The permission grant result is handled by deferredGrant.complete(boolean), that’s how we can get a suspend function controlling our fragment. We will now leverage it, and create a single function to launch this permission granting process and get its result. For this, we use a CompletableDeferred, which is a Deferred like the one returned by the async function, but we can complete it by ourselves once we have our result. All we have to do is to launch our fragment, prepare a CompletableDeferred and await for it. From a coroutine, any activity can call getStoragePermission(), and it suspends until user has made its choice. While the user is asked for the permission you want for your app, coroutine execution is suspended by getStoragePermission() condition. Then, the relevant branch of this if expression will be executed. Have you ever wondered what was the difference between the -fpic and -fPIC compiler command line flags were?